The dominant feature of the Trump administration is chaos. It is designed to entertain, to provoke, but primarily to keep everyone busy. And it is designed. Make no mistake about it, being a Drama Queen is a big part of the process of gaslighting. 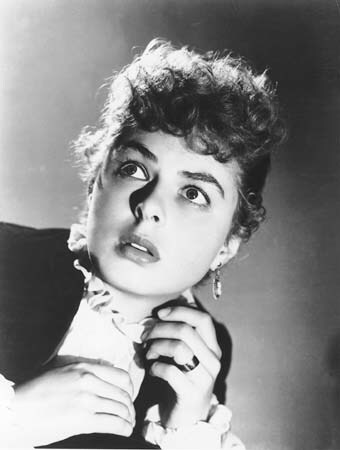 Ingrid Bergman in George Cukor’s Gaslight (1944). Gaslighting is not necessarily a deliberate act among predatory psychopaths, but it is an instinct. It is not something that they actually plan and think out most of the time, but rather something that comes from the guts. It is driven by a need to be in control and at the center of attention at all times. With many years of practice, some of them become good at it. Over many years, Trump has found that he has a natural ability to manipulate people. He does it by appearing to be calm in the center of a storm, a time when people naturally look to strong leaders for guidance. He is skilled at not only manipulating chaos, but also creating it for this purpose. In short, he is a raging Drama Queen. If you look at any of the issues occupying the time on CNN, you will notice a pattern. None of them are remotely real in any significant sense. Every single one of them was created for the purpose of creating drama and effectively keeping channels like CNN very busy. They bought it, and the net result is that CNN and its hapless audience are made into victims. 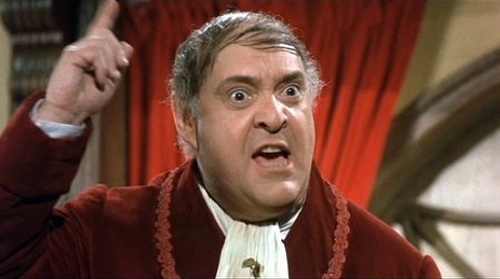 Zero Mostel as Max Bialystock. The secret to the con is earnest looking drama. The nation as a whole are victims of this process, too, but many of us are working to keep our sanity. It is difficult to do so around a Drama Queen like Trump, but it is vital. There are those who will tell you that the issues are real, that there actually is a border crisis, a tariff crisis, and whatever else it is that we have playing out right now. There are always issues in these areas, but are they really the most important problems facing ordinary Americans right now? Is forcing a crisis really going to help the American people? Of course it won’t. A crisis is being created in these areas because it helps the Drama Queen. They are more important than actual real crises such as the skills gap, the opiod epidemic, or Puerto Rico reconstruction only because they are small enough to be managed by the Drama Queen for his own effect. Ultimately, the goal is to keep the population in line through fear. Chaos is frightening to people who are simply trying to get through the day and raise a family. What will come next? Can we really count on tomorrow being like today? These are the kinds of questions that raise anxiety and keep people up at night. Through the fear generated, they are expected to find a strong leader to guide them. That is the Drama Queen’s ultimate goal – to politicize everything along his personal lines. The only thing we can do with a Drama Queen is to walk away. The only thing we can do is to leave the scene, let the Drama Queen dance around and impress everyone that is stupid enough to stay. But make no mistake, Trump is nothing more than a Drama Queen in the end. This entry was posted in People & Culture, Politics and tagged control, current events, drama, News, pointlessness, Trump. Bookmark the permalink. There are so many things wrong with this country and he picks the stupidest to make a big show out of. Everything is getting worse.